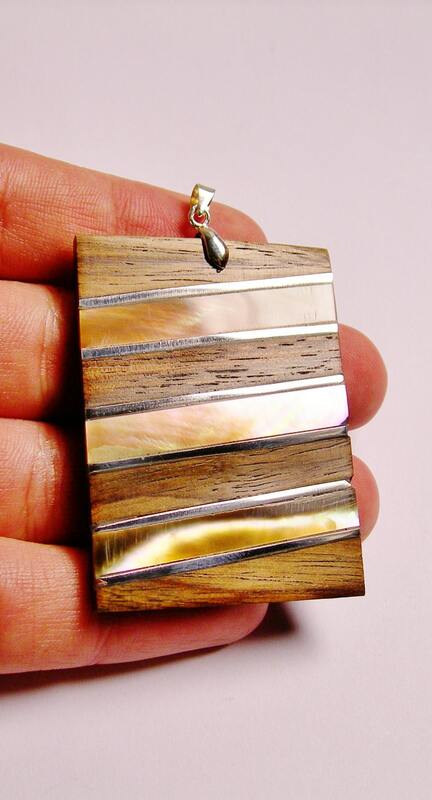 This pendant come with a bail,ready to use with a chain ,or any beading projets. 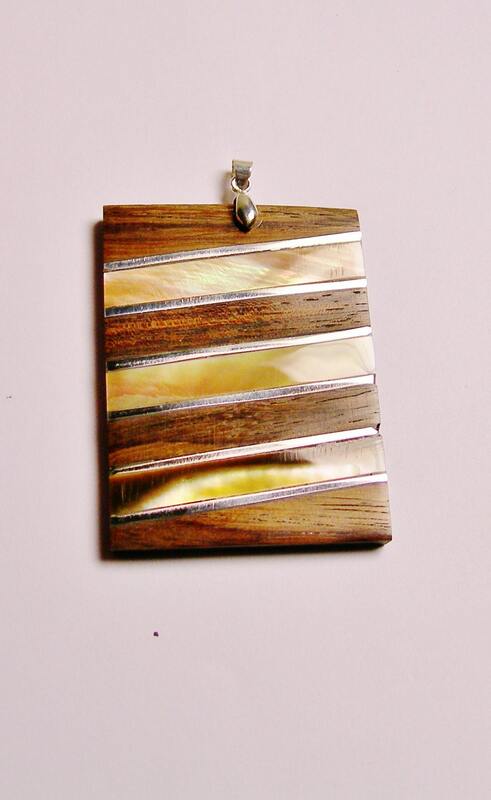 Item was described as wood and mother of pearl and no mention that the back of the piece is Thick plastic. It looks very cheap. 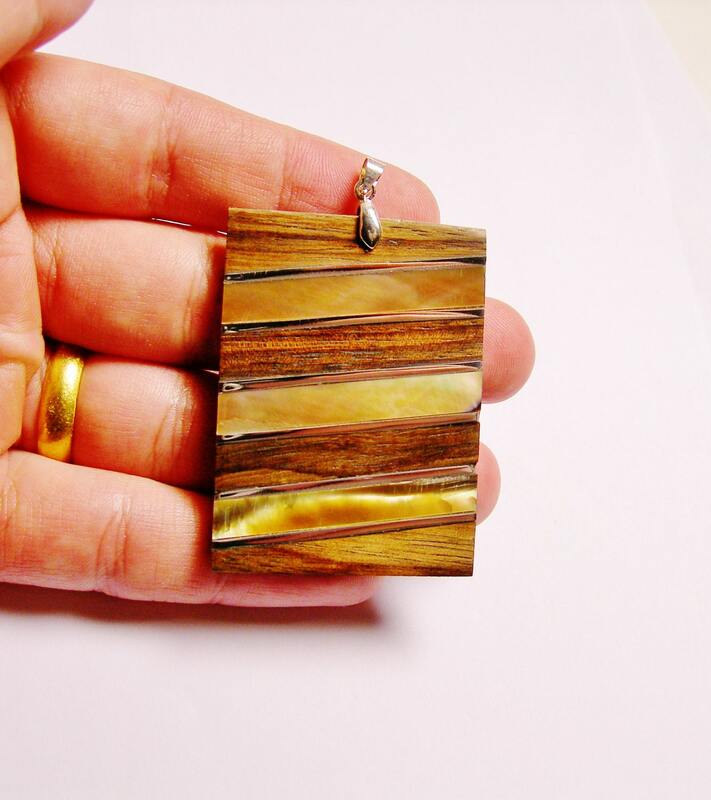 Gorgeous Cabochon but color is more dark brown and light iridescent abalone colors and very beautiful. Great quality and Received prior than expected. Thanks so much for a hasslefree transaction. I will be back.